We sell and install both prefinished solid and engineered hardwood as well as unfinished solid wood to be finished on site. 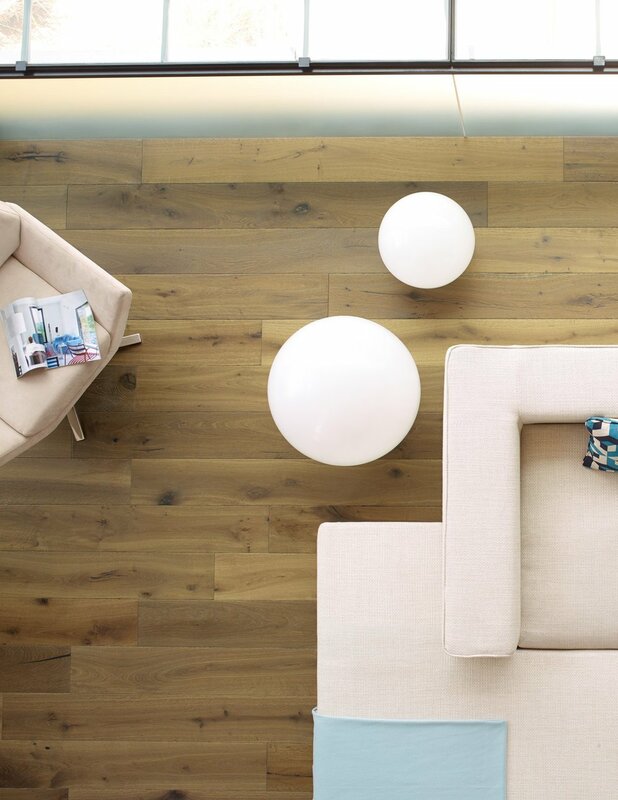 Oak flooring is our best seller, but there are many species of wood that we offer, including bamboo and more exotic hardwoods such as Brazilian Cherry. Prefinished wood is popular both in new construction and home renovation. Site-finished wood is still a popular option for new homes, but due to the creation of dust, it is not always suitable for existing homes. For a beautiful floor at a reasonable price, No. 1 Common Red Oak is a nice option. It has lots of color variation and mineral streaking, as well as some knot holes.